Beautiful Hand crafted and custom made Silver ring. 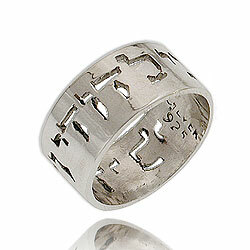 The letters are formed as "windows" in the ring. High polished finish.